If it's Thursday morning, it's time for speedwork. 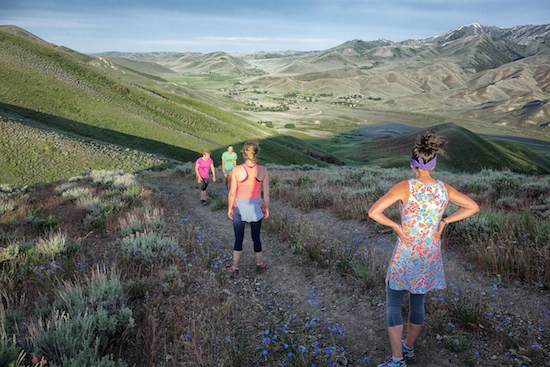 This week, the usual suspects settled on hill repeats and took to the dirt road that climbs up the backside of Colorado Gulch here in Hailey, Idaho. Instead of the usual sprint up/jog down repeats, we did 30 seconds on and 60 off, continuing steadily up the climb all the while trying to enjoy the lupine-carpeted hillsides along the way. (With varied success). We did 12 repeats altogether, eventually cresting into the sun on the very steep and rough final section on the Gulch's north ridge - and gathering nearly 1,000 feet of vert by the end. Pretty nice way to start the day.